We had so much fun last week, we wanna do it again! Carla, Grimshaw and Rose are backing you up with Kelly (aka Lucy) as your host - we're back for 4 hours of non-stop amazing tunes! Every Thursday night at The Loft! Sign up kicks off at 7pm and the Jam starts at 7:30pm. 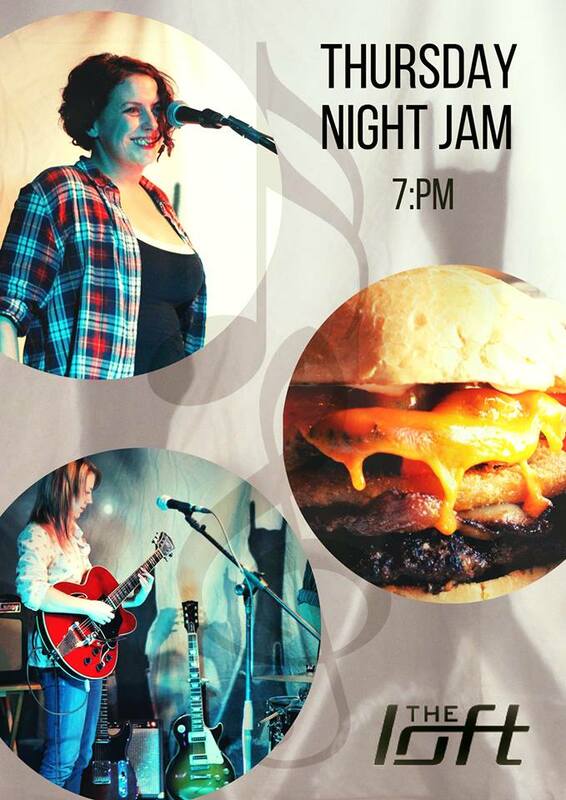 Bring your talent and jam with our house band or get up there yourself (or with your band!) and put on a show! Let's see what cha got! New to a jam? Come find Kelly and she'll get you on the list (and even find you a band to play with if you need one!) or talk to our fantastic jammers and see what the jam is all about.